Soybeans are known for their high nutritional value for food production, and the use in animal feed production. However, soya beans are also known for the presence of Anti Nutritive Factors, which can adversely affect animal productivity and health when used in significant quantities. These Anti Nutritive Factors, if not significantly reduced, inhibit the growth of the animal, and result in a reduced Feed Conversion Ratio! Many of these Anti Nutritive Factors are heat labile, and heat treatment renders full fat soya safe for use in animal feed diets. On the other side, over-processing destroys all the anti-nutritional factors but also affects the quality of the proteins and their digestibility in the small intestine. A good heat treatment process finds the exact balance between Anti Nutritive Factors reduction, increasing the digestion, while the protein quality and amino acids are in negatively way minimal affected. Extruders are well known and commonly used for soya bean treatment. 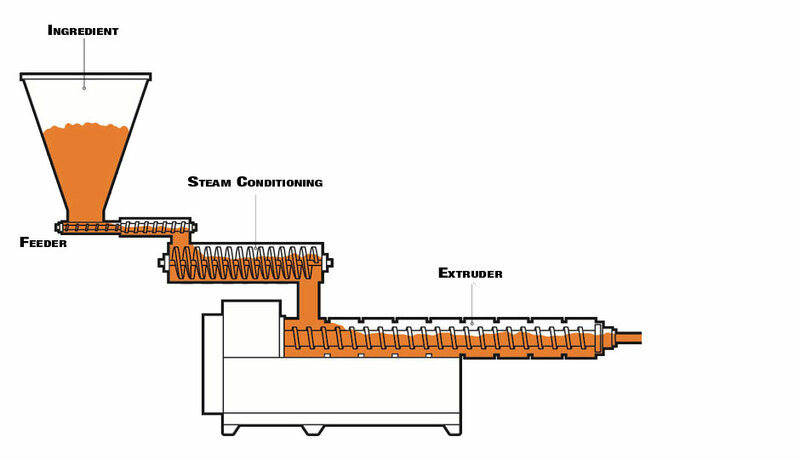 Extruders generate heat and pressure as a result of frictional and shear forces produced within the extruder barrel. 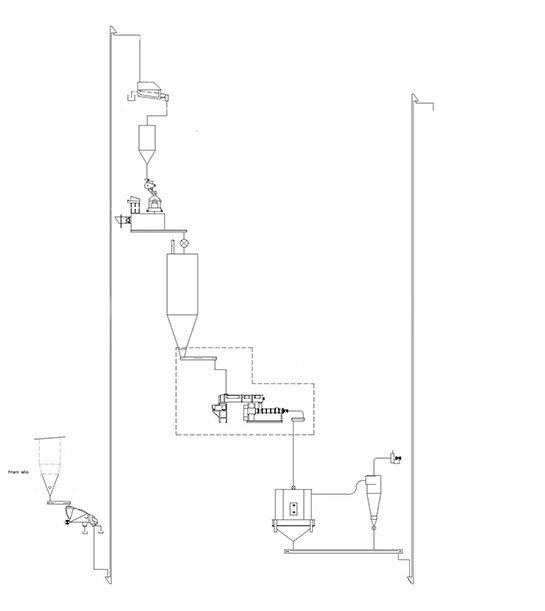 There are 2 ways of extrusion: dry extrusion and pre steam-conditioned extrusion (semi-dry). The extruder, as offered by Van Aarsen, is operated with a steam-conditioner in front of the extruder barrel, when capacities of 5 t/h and more are required. This steam conditioning increases the extruder capacity, and reduces the wearing parts cost significantly (whilst maintaining a high quality end product).